AN AMERICAN CULINARY EXPERIENCE - You will be instantly captivated with this journey of historic and culinary exploration. 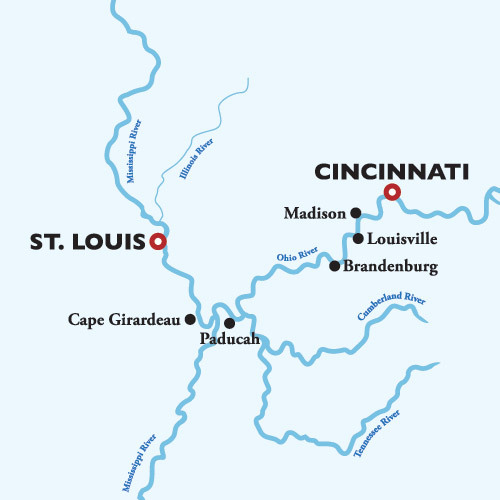 As you discover the historic signficance of the old French trading post in Cape Girardeau, the charming port of Paducah and the colorful pop-culture atmosphere of Chester, you will enjoy fabulous onboard enrichment activities that highlight the diverse culinary legacies of America. Interact with chefs during cooking demonstrations and experience unique cusine fashioned especially for this themed voyage.